(FrontPage Magazine) An outraged nation watched on September 11 as a handful of Muslim terrorists managed to kill thousands of Americans in one of the worst attacks in our history. Answers were demanded and commissions were established to investigate why we failed to prevent the attack. Why didn’t we know that it was coming? Why didn’t we do something? It’s still a good question as the number of attacks mount. But under Obama, we actually know less about Islamic terrorism than we used to. While thousands of Americans died on that terrible day at the hands of Islamic terrorists, thousands of other Americans stepped forward to do their duty. Some brought sandwiches to Ground Zero. Others enlisted in the military to fight. Still others sought unique ways to use their special talents to make a contribution to combating the enemies of civilization. Stephen Coughlin was a reserve Army officer called up to active duty. He left the private sector for the Directorate for Intelligence. For the next six years he worked in a variety of key roles to shape and orient the war and spoke about the threat of Islamic terrorism everywhere from Quantico to the Naval War College so that those on the front lines of the conflict would understand who the enemy was. Then he was forced out because he was too good at pointing out the enemy. And the enemy had gotten inside. It would bore deeper and deeper into our national security infrastructure as the years and the wars dragged on. But the government’s loss is our gain. 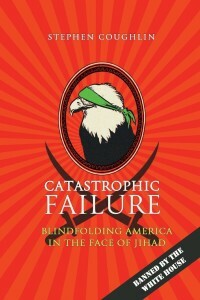 “Catastrophic Failure: Blindfolding America in the Face of Jihad” is Coughlin’s vigorous blast of fresh air through the stale clichés that clutter up counterterrorism conversations. You know the ones. Offending Islam plays into the hands of the terrorists. Mentioning that Al Qaeda is Islamic plays into the hands of the terrorists. Doing anything except playing the denial game also plays into the hands of the terrorists. “Catastrophic Failure” conveys the information that Coughlin packaged in briefings to the men and women fighting the war. It is the outcome of his work, his briefings and his research. It is why he was fired. As one of the leading experts in what the terrorists of Islam actually think and want, Stephen Coughlin not only shatters this brass wall of dishonesty, but shows that the real threat comes from the concealment of whom the terrorists we are fighting are and what they really want. 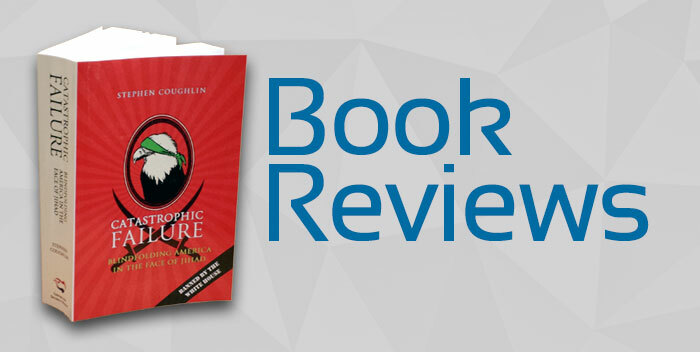 Coughlin’s conviction in analysis took him on this Diogenesian journey for the truth. He was not the only one traveling this road, discarding the excuses and the lies, striving to see clearly what was happening and why. And yet his position so close to the heart of the great failure machine of national security gives him a unique insight into what has gone wrong and into what must be set right.